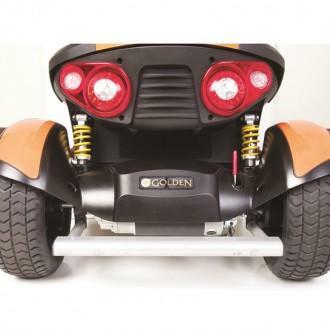 Get back outside with the rugged Golden Patriot 4-Wheel Scooter from Golden Technologies. The Golden Patriot scooter lets you get out of the mall and onto the trails. Finally, you can enjoy those long walks on windy trails like you used to. The all-terrain tires can drive over most terrains while you stay comfortably in the seat. 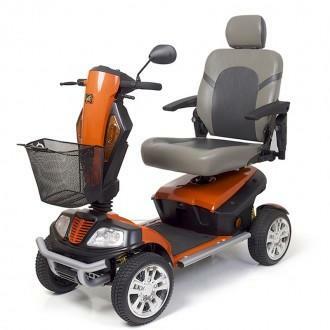 With an easy to see control panel display, you can track battery life and operate the scooter. 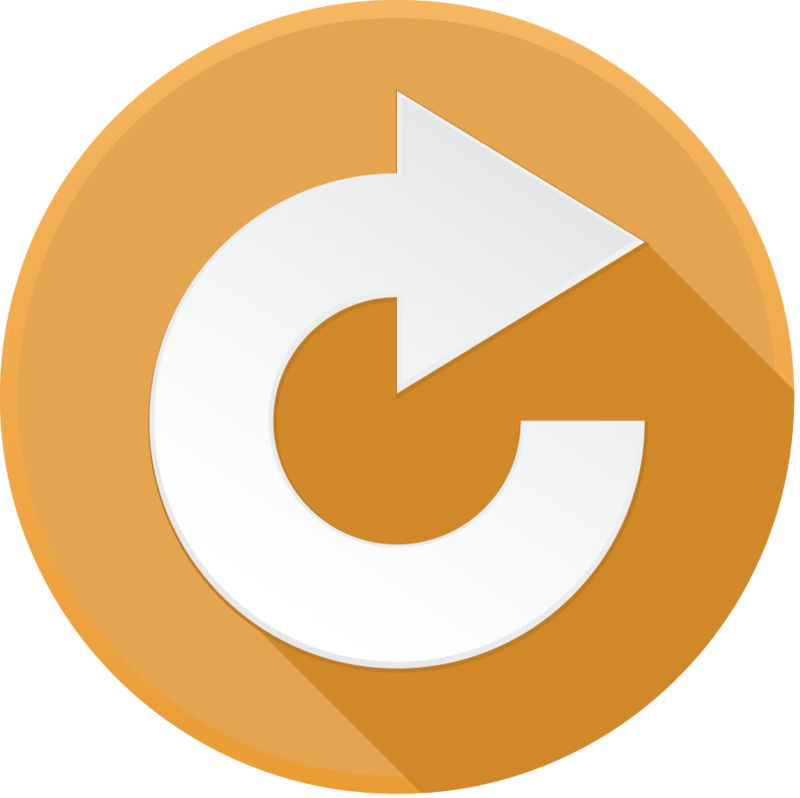 Operate the center speed control knob with either hand. Light up the path in front or behind with the standard light package complete with turn signals and flashers. From the captain’s seat to the 13” low profile tires, this scooter is designed for comfort. Consider using the White Glove Delivery Service to make putting your Golden Patriot together once it arrives via freight. 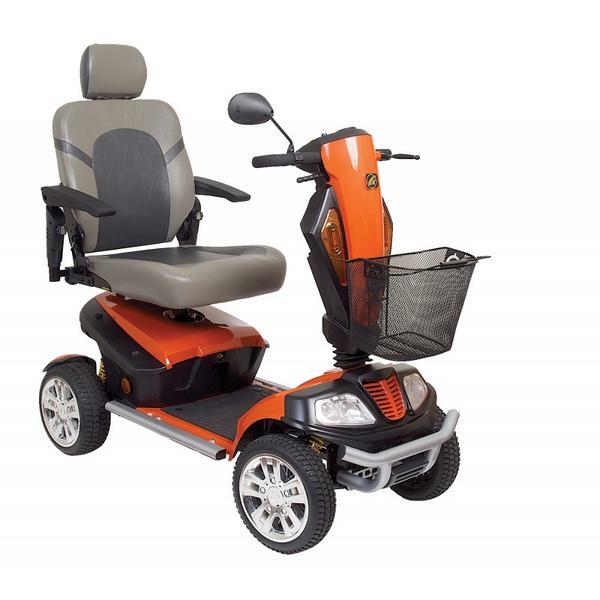 While you may not be rock climbing any time soon, this mobility scooter can take you back to bird watching beneath the forest trees or walking green belts with your spouse once again. Nature captivates the imagination and soothes the soul. Now you can enjoy more of it. 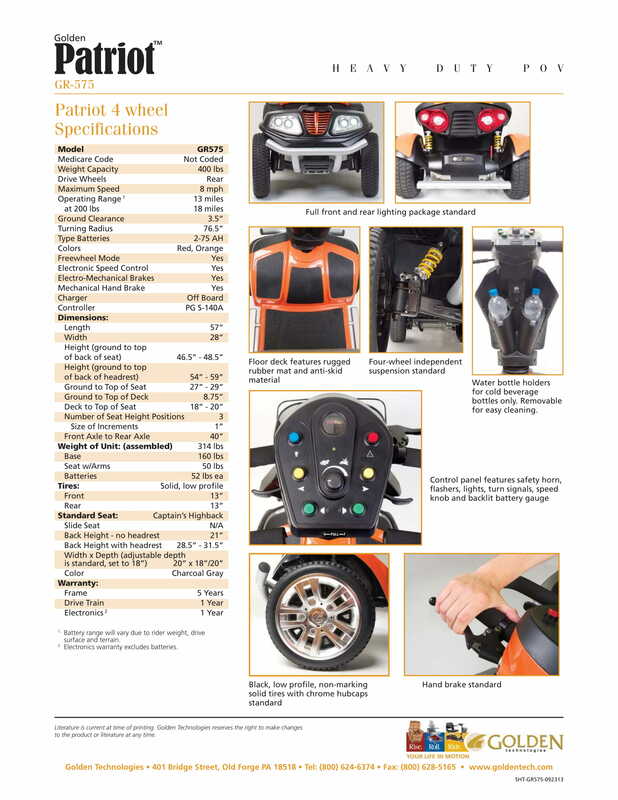 Golden Technologies: Patriot 4-Wheel Scooter has a rating of 5.0 stars based on 1 reviews. Why Golden: Patriot 4-Wheel Scooter? If you’re looking for the ultimate outdoor driving experience look no further than the Golden Patriot. The Golden Patriot’s rugged outdoor design features an off road package, four-wheel independent suspension, full lighting package and a full sized captain’s seat. 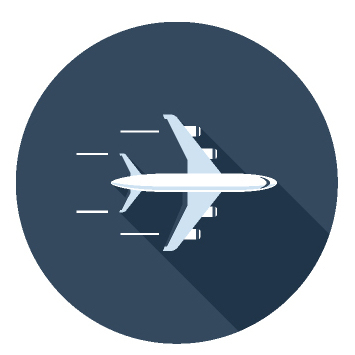 With a 400 lb. 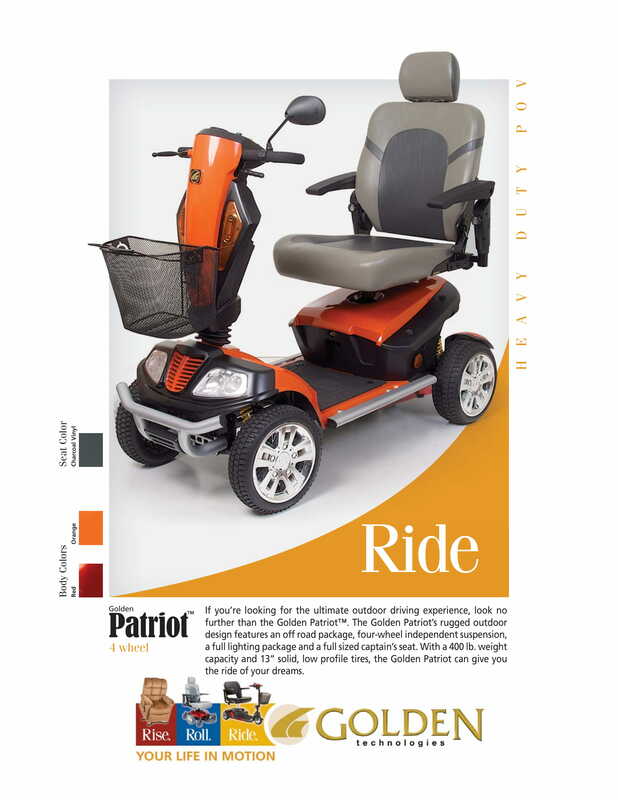 weight capacity and 13” solid low proﬁle tires, the Golden Patriot can give you the ride of your dreams.